Most of those who have traveled to Dubai will agree that Dubai is a shopping heaven. With hundreds of shopping malls and souks to shop at, Dubai offers both modern and traditional shopping experience. The city hosts one of the largest festivals of its kind – Dubai Shopping Festival – each year which attracts a large number of visitors from all over the world. There’s probably nothing you can’t buy in Dubai but if you ask me to list ten things you should buy from Dubai, I will suggest you the following items. Like what your’re reading? Join my newsletter and receive latest updates from my blog. Since old days, perfumes have been an important part of the Arab world. Go anywhere in the Middle East and you will find locals wearing some really nice perfume. Dubai has a perfume market where hundreds of shops offer a large number of fragrances to choose from. This includes branded perfumes that you can find in other parts of the world, too. If you wish to pleasure yourself with any of those perfume brands at (probably) lower price, Dubai is the place you are looking for. 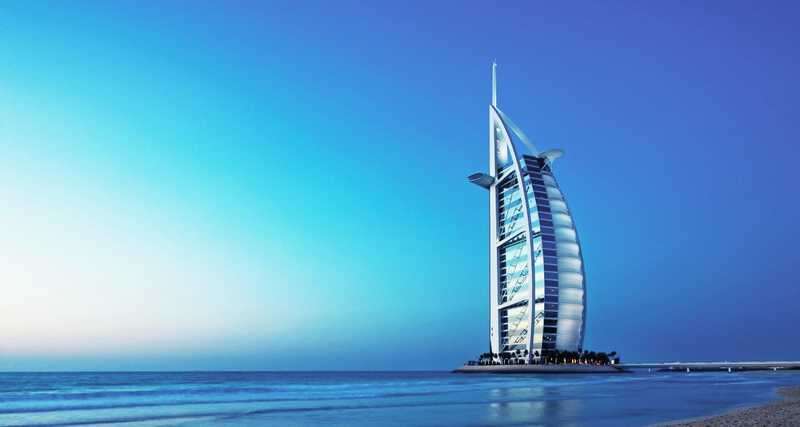 Dubai is, however, known for its offerings of Arabian Oud and Bukhoor. Oud, also referred to as Oudh, is one of the rarest and thus, costliest fragrances in the world. It comes from the wood of the Southeast Asian agar tree (Agarwood). I would suggest you try a few traditional Oud scents and if you can handle its strong fragrance (many don’t like it for the same reason), you should definitely buy some. When talking about Oud, another thing that quickly hits my mind is Bukhoor. In simple term, Bukhoor means scented bricks. You burn a small piece of this ‘brick’ in a burner and give your house a touch of luxurious smell. These sticks slowly burn and leave a rich fragrance in your room. Like Oud, Bakhoor is also an important part of Arabic tradition. It is used not only at homes, but at social functions like weddings, too. Wish to create a romantic atmosphere in your bedroom? You got to try some Bakhoor! Exotic perfumes, Oud or Bakhoor can be a perfect gift for your special ones. One thing Dubai is known for besides its stock of oil is gold. Dubai has so much gold to offer that they refer to it as the ‘city of gold.’ Dubai is a paradise for gold shoppers from all over the world. 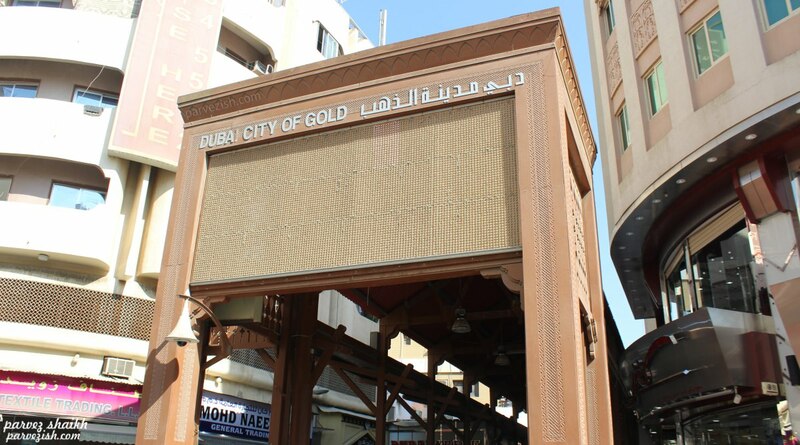 The best place to buy gold is Dubai’s gold souk where about 10 tons of gold is present at any given time! Just walk into the gold souk and the sparkling jewelry made of gold will catch your attention. You will feel like you’ve found the treasure of an old emperor and you would want to take it all home. Of course, gold is a costly metal and you will not be able to ‘take it all home.’ But Dubai offers this precious metal at relatively lower price — thanks to its tax policies. You would definitely want to buy some gold before you head back home. In addition to gold, you can also buy diamond and platinum jewelry from Dubai. Dubai’s tax policies also make electronic items cheaper. This includes smartphones, tablets, laptops, cameras, gaming consoles, etc. You can buy these and many other electronic items at relatively cheaper prices than other countries. I’m not sure if Dubai offers electronics at the ‘cheapest’ rates, but yes, prices are lower than many markets, indeed. Where to buy electronic items from in Dubai, you ask? Head over to the Al-Fahidi Street in Bur Dubai area. 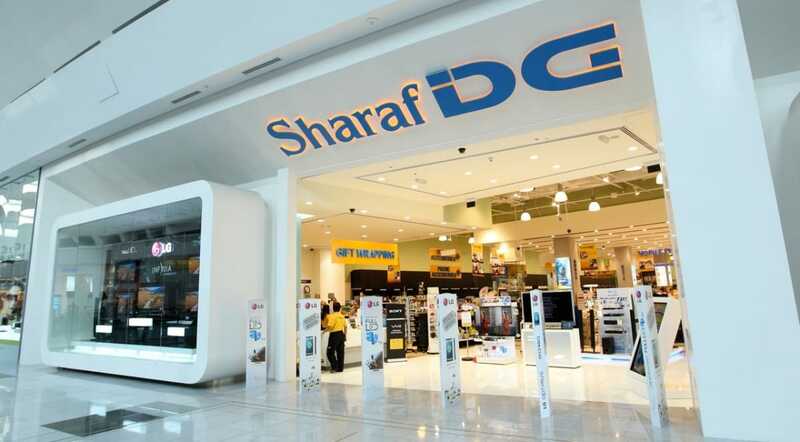 You can also walk into a Sharaf DG store or other electronics store in a mall. Shopping Tip: Make sure to convert prices in your local currency and compare. If you are not getting much benefit than in your home country, it’s probably not worth it. Many brands don’t provide worldwide warranty and it can be a headache if your gadget fails. Dubai has become a global hub of business in past few years. Expats and businesses from all over the world have made Dubai their home. Similarly, Dubai is also a hub of chocolates and chocolates from around the world can be found in the city. I know there’s no connection between these two but Dubai offers a vast collection of chocolates. You can go anywhere in Dubai, you will find best chocolates to choose from. 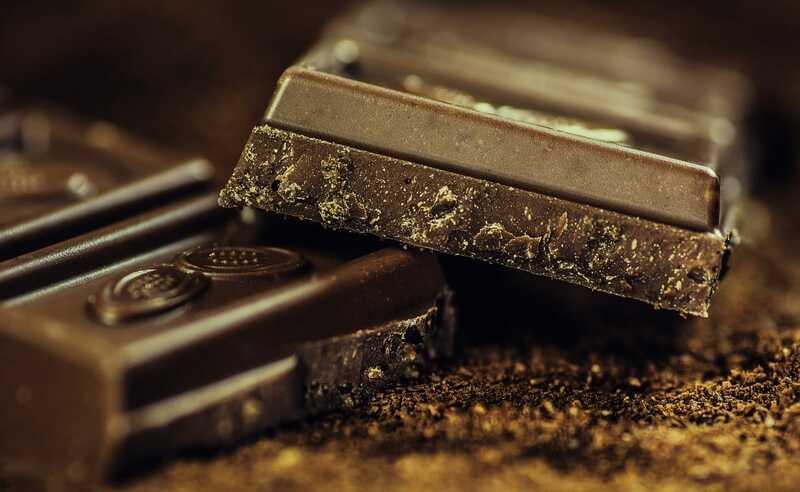 Be it local chocolate brands or popular international brands – take your pick. These chocolates are cheap and there are too many to choose from. They can be a perfect gift to take back home. Trust me, I’ve seen people buying a whole bag full of chocolates! Head over to any supermarket, grocery store, mall or Dubai Duty Free shop to find best chocolates from all over the globe. Shopping Tip: Try your hands on Dubai’s local chocolate brand – Chocodate. ‘Chocodates’ are nothing but a nut inside a date which is covered in chocolate. They sure taste amazing, if you ask me. Believe it or not, dates have been around for thousands of years. They have been cultivated for more than 6000 years in the Middle East. In fact, dates are referred to as the oldest cultivated fruit. Fossil records suggest that date palm has existed for about 50 million years! So, when you are in any Middle Eastern country – leave alone UAE – dates can not be ignored. Dates have played important role in the Arabian history. It is eaten raw, used in desserts, served with coffee, used to make non-alcoholic beverages or gifted on festivals. Muslims all over the world observe the holy month of Ramadan and end their fast preferably with a date. In addition to a long, rich history, dates have many health benefits, too. Dates are rich source of iron, magnesium, calcium, potassium, copper, phosphorous, sulfur and manganese. They can help your body fight with conditions like anemia, heart problems, abdominal cancer, constipation etc. to name a few. Long story short, dates are good for your health. They have been around for thousands of years and they are produced mostly in Middle Eastern countries. Walk into a mall or a souk and you will find a number of varieties of dates. They differ in color, structure, taste, nutrition values and price. Taste a few before you buy them and take some along your way back home. Dried fruit such as dates, raisins, figs, apricots and apples have deep roots in Middle Eastern and Mediterranean countries. They have been used for different purpose in different traditions around the world. Dried fruits are now produced and consumed all over the world. You can buy them at varying prices in different regions. The same goes with nuts, too. 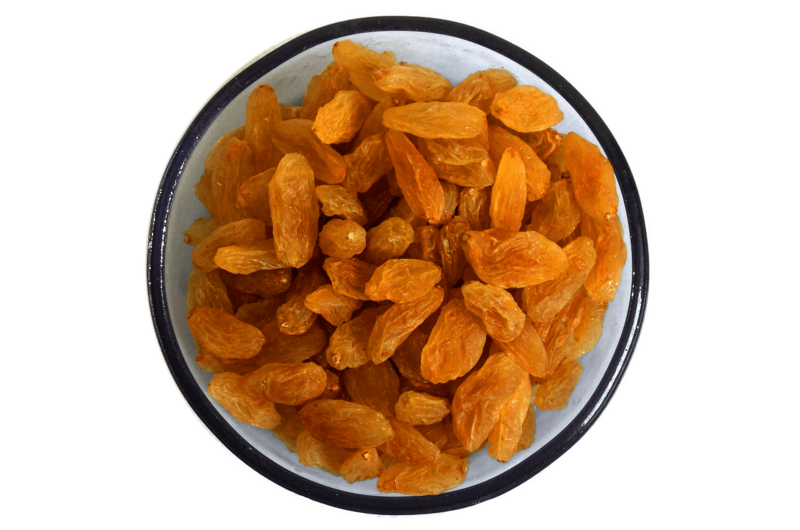 If you are in Dubai, you will find best of quality dried fruits and nuts imported from around the world. You might find them cheaper, too. The emirate of Dubai is one of the best places to pleasure yourself with the latest fashion at best price. Dubai’s malls are full of major international clothing and lifestyle brands and you will find hundreds of different styles to select from. While you will find Dubai a bit conservative in the way locals dress themselves, you will be surprised to see clothing collection in those huge stores. Cotton, silk, denim, leather – you name it. Clothes are available in all fabrics, colors, shapes and sizes. The same goes with other items such as watches, shoes, lingeries and other accessories, too. 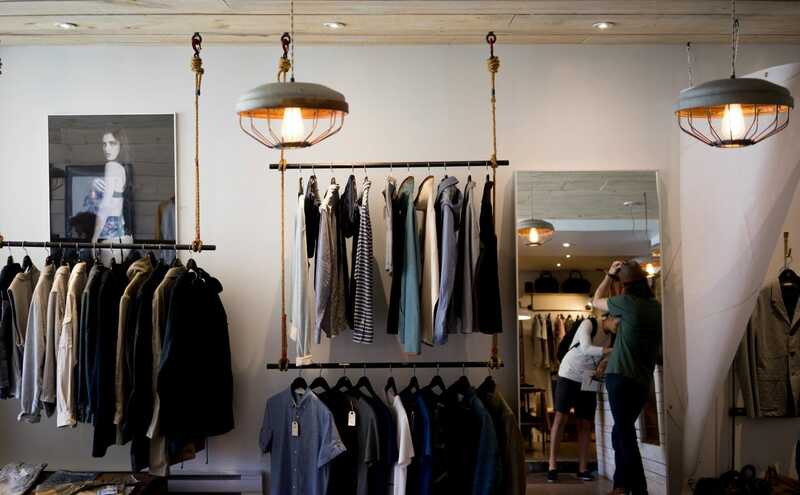 Best time to shop clothes in Dubai? It’s during Dubai Shopping Festival in January and Dubai Summer Surprises between July and August every year. Major brands offer discounts as deep as 80% during these festivals, I have heard. I want to admit that I find this term very beautiful yet confusing. ‘Pashmina’ is a fine type ‘cashmere wool,’ and the term means ‘made of wool.’ Pashmina is also a name given to a girl child in some parts of the world. My confusion comes from the amount of ‘fakes’ available in market. The amount of silk and cashmere wool used in a pashmina item can vary and so does its quality and price. It’s not easy to find the finest quality of pashmina that it worth its price. Chances are, you are good at identifying the fabric and its quality. If so, you will be able to find the best quality of pashmina shawls, stoles, scarfs etc at a reasonable price. The reason why I’m mentioning pashmina here is simple. It is freely available in the city at varying prices. Pashmina items – especially the shawls and stoles can be a wonderful gift for your loved ones. Just make sure you pay the right price for it. 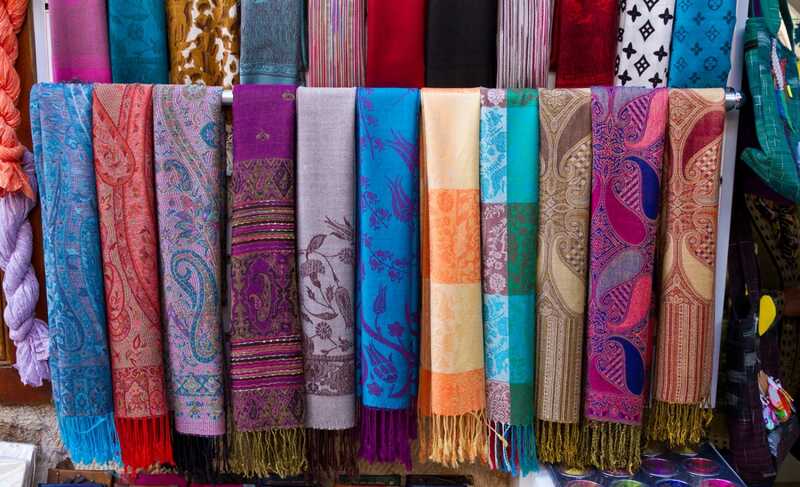 Shopping Tip: You will find scarfs and shawls labeled as ‘100% Pashmina. Made in Nepal’ all over UAE. They are sold at 10 dirhams each! They are not the finest quality of pashmina for sure. Sweets play an important role in every culture. Different countries and localities have at least one sweet dish associated with them and Middle Eastern countries are no exception. 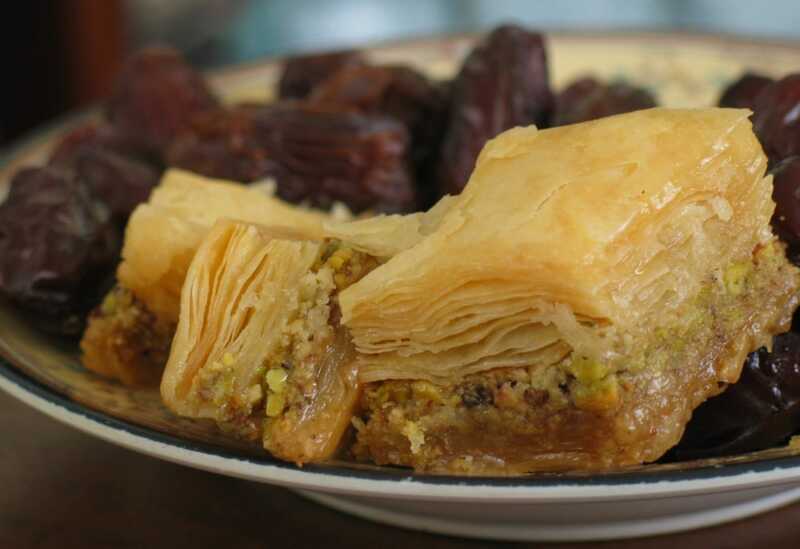 Traditional Middle Eastern sweets like Baklawa, Umm Ali, Basbousa, Qatayef are available in different parts of Dubai. To calm your sweet tooth, try any sweet dish at a local shop and on your last day in Dubai, make sure to buy some fresh sweet items to take back home. You can also head over to a Dubai Duty Free shop at the Dubai International Airport and grab some packet of sweets just before your flight. I am not sure how travelers take rugs or carpets back home. I mean, they’re big and heavy, aren’t they? 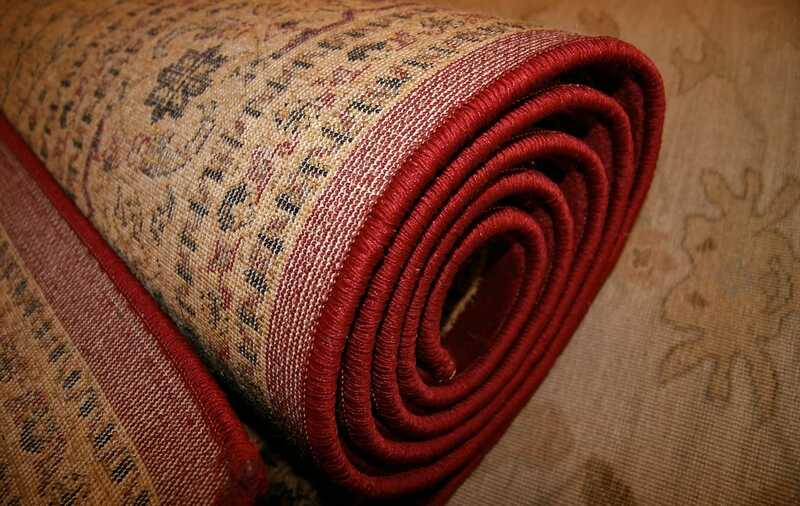 But I am sure that Dubai has some finest quality of both rugs and carpets to offer. Carpets have been present in Arabian history for long. And while you wander around Dubai, make sure you visit local markets (souks) to find carpets at reasonable rates. Different types of carpets come at varying prices. Machine-made carpets could cost you less than hand-made ones. But hand-made carpets have better quality and they deserve their price tags. Their price also varies depending on the material, quality and amount of work performed on them. Shopping Tip: Don’t forget to bargain while shopping in local markets. Merchants will most probably try to convince about an item’s value being correct but bargaining will help you settle at a better price for most items. There’s no wonder that Dubai is a shopper’s paradise. Dubai’s shopping scene has always something new to offer and it won’t let you leave without surprises. From perfumes to dates to sweets to carpets, there are so many things available in Dubai. Just make your choice and take home what you like. That’s it, ladies and gentlemen. This is me – Parvez – signing out from Parvezish. You were reading Dubai Shopping Guide: 10 Things You Should Buy from Dubai. I hope you found this article worth your time. How was your shopping experience in Dubai? Do you think an item should be added to this list? Do share your thoughts and feedback with me! Did you like this article? Do share it with others.